Since privatisation of Essendon Airport in 2001, Essendon Fields Pty Ltd has been transforming Essendon Airport into a vibrant business and aviation hub. 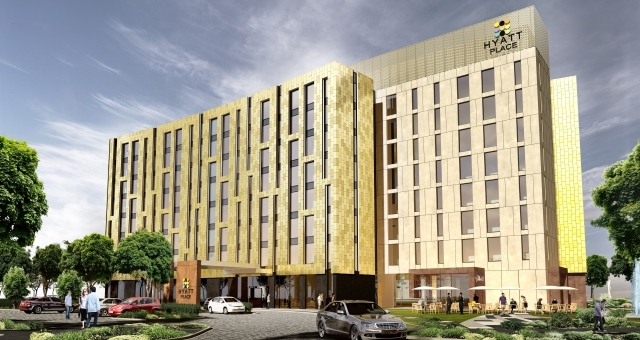 Essendon Fields today unveiled its most exciting project yet – a new Hyatt Place Hotel with adjoining Events Centre. Deputy Prime Minister, The Hon Warren Truss MP, officially announced details today of the new Hyatt Place Hotel and adjoining Events Centre also attended by local dignitaries. Mr. Truss welcomed the investment, which in addition to supporting aviation, will help drive future economic activity in Melbourne’s North-West, creating around 400 jobs during the construction phase and ongoing employment at the Events Centre. Active Utilities have played an instrumental role in the planning and development of the hotel. As operators of the Essendon Fields private utility network for the past 10 years, Active Utilities are also responsible for design, construction management and ongoing billing for Electricity, Telecommunications, Gas & Water. The Active Utilities team is very excited about the new hotel, what it means for Essendon Fields & the local community.